Handloom weavers at Chendamandgalam in the Ernakulam district in Kerala thought that they had lost the only source of their livelihood when the floods last summer destroyed their weaving units and washed away all their stock and raw materials. When stories were shared about how the Chendamangalam weavers needed urgent help, two social entrepreneurs in Kerala – Lakshmi Menon, the founder of Pure Living (an organisation that upcycles waste materials) and Gopinath Parayil, founder of Blue Yonder (a travel company based in Kerala) came up with the idea of making dolls from the damaged clothing. Chekutty (or Chendamangalam Kutty) is the name given to the dolls made from the garments at Chendamangalam that were spoiled during the floods. These handmade dolls became a symbol of hope to almost 600 weavers. According to Gopinath, 360 Chekutty dolls can be made from a single sari. As one sari would cost INR 1,300 and if 360 dolls can be made from one sari, with each doll costing INR 25, the value of the sari goes up to INR 9,000. The money that is collected from the sale of these dolls goes directly to the Chendamangalam Handloom Weavers Cooperative Society. CGH Earth, a company based in Kerala, South India have always impressed us with their values and way of doing things. This is a family-owned group with a fabulous portfolio of properties throughout Kerala who manage to create some unique teams of people. You will find some of the warmest welcomes; infectious enthusiasm, joy and care for all their guests. Core values include caring for the environment and working with local communities. Their participatory ethos is inspired from the people and cultures of each region. 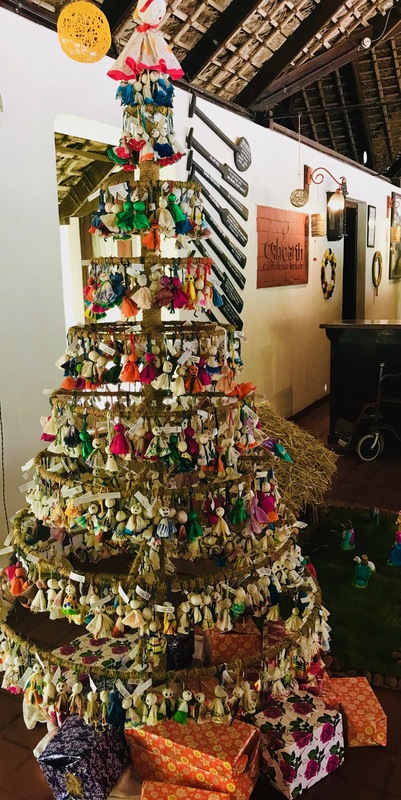 Every year for Christmas CGH Earth hotels use only natural and handmade materials to decorate their properties and celebrate the festive season. 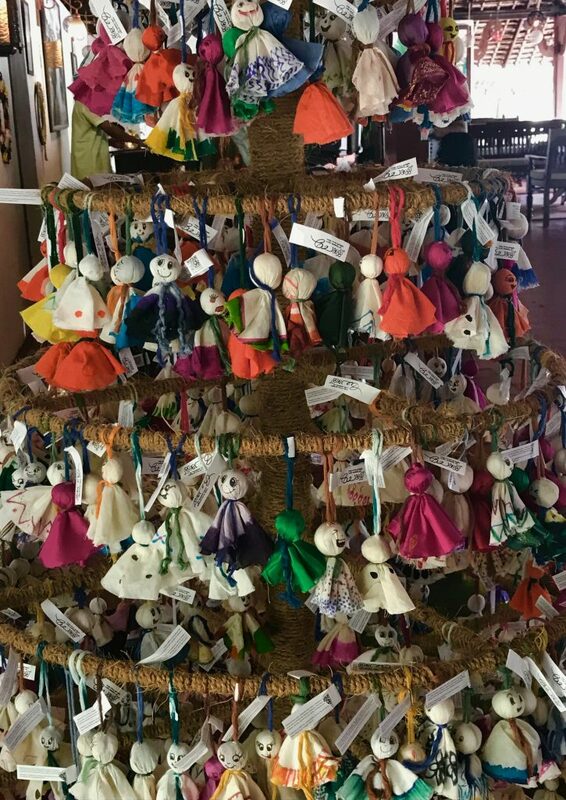 Using the Chekutty doll for the Christmas tree at Marari Beach this year was the hotel’s support and tribute to the Handloom weavers at Chendamangalam. Read more about visiting India on our website.